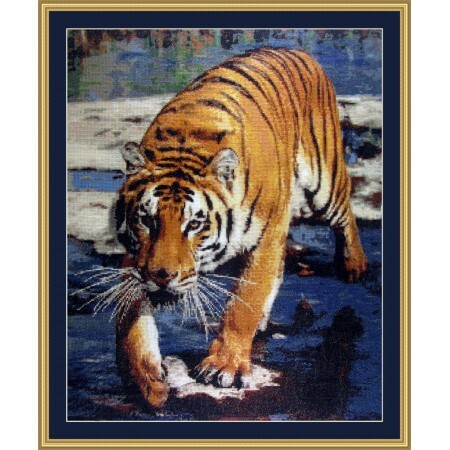 A very large but extremely realistic cross stitch kit of a tiger jumping over the stones in the water. Only for experienced stitchers. DMC and 14 count aida. Also available without background. 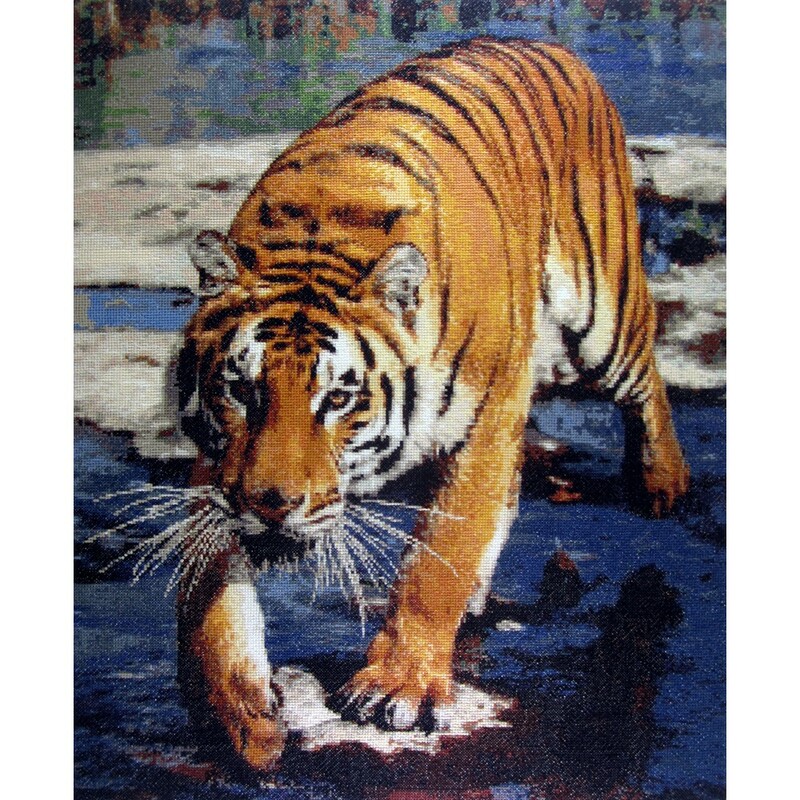 We offer this kit both with and without background. 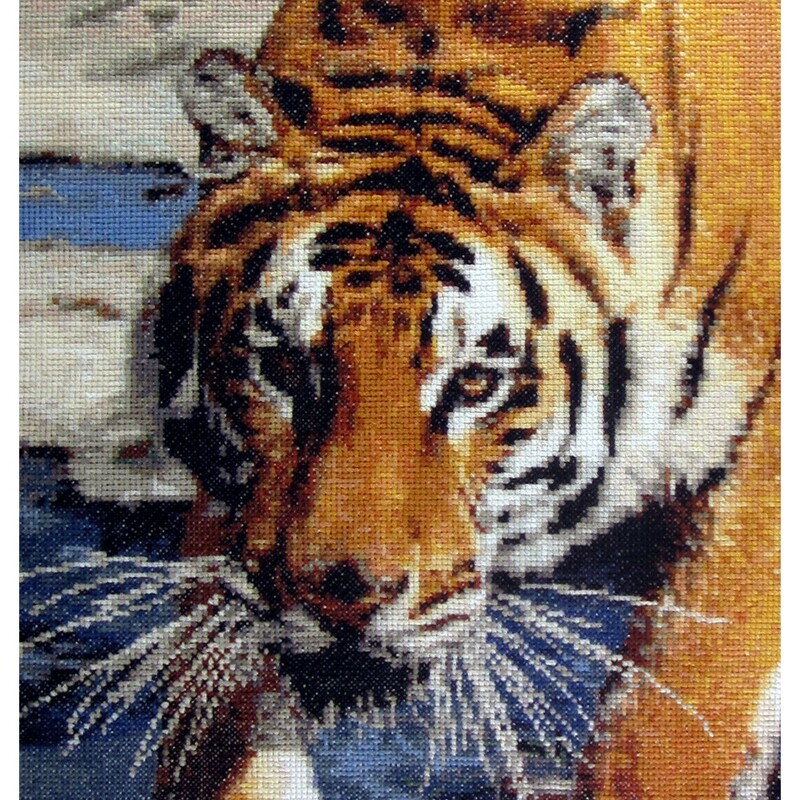 The kits without background has the advantage of being much cheaper because of the slightly smaller size and because it saves a lot of DMC thread. This version, with a cross stitched background looks much more like a painting.